That's the idea of an international team, who have created a social map of Great Britain. 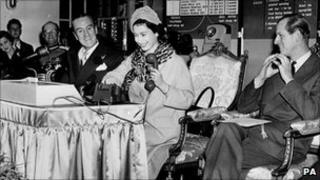 They used more than 12 billion landline calls to create a map of Britons' connections. This social approach to delineating regions sees parts of Wales merged with the West Midlands. Regional boundaries are useful for governments, said Carlo Ratti, of the Massachusetts Institute of Technology, who led the work. "But they don't say anything about how people in those regions interact." His team used records of more than 12 billion anonymised landline telephone calls, to model who Britons frequently spoke to. These records allowed the team identify the the local telephone exchanges used in the calls. Where people spoke frequently and for extended periods, they were treated as having a stronger connection, Mr Ratti told BBC News. A map created using those connections showed that people tended to communicate most with people that we geographically close to them, he added. That enabled the team to identify dense clusters of connection as distinct regional groups. They used a computer program to identify where they could draw regional borders which cut through the fewest number of connections possible. The resultant map of Britain showed some instantly-recognisable regions, such as London (see image below). But they also produced surprise results, including the creation of a region that encompassed parts of Wales and the West Midlands. Ultimately, analysing social networks could help governments understand the likely impact of events such as a full secession of Scotland, the researchers said. "Although you'd need to analyse further data sets, such as emails, instant messages to build a fuller picture of how people communicate," said Mr Ratti. The data set used by the team was originally created for the BBC's Britain from Above series.